The functionality of the human hand is unique. After an amputation, affected individuals therefore require a hand with functionality that is as similar as possible to that of their natural hand. A hand with sensitive response and a gripping speed and gripping force which automatically adjust to the corresponding muscle signal. 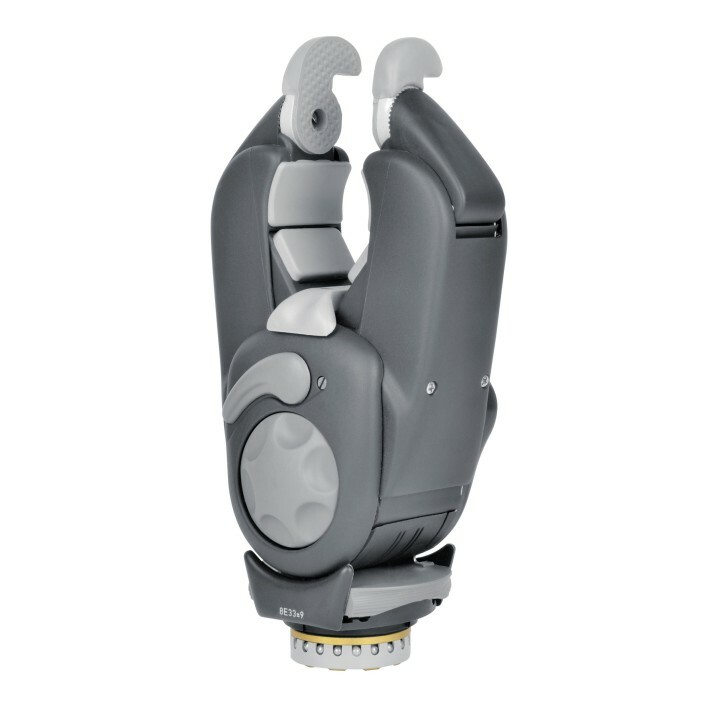 The DMC plus system electric gripper is our convincing and highly developed answer to your needs. The gripping speed ranges from 8 to 180 millimetres per second. Overall the high gripping speed, the ease of learning and optimum adaptation of the gripping speed and gripping force make virtually natural gripping possible. The hand also has a safety mode which only releases a firm grip on an object after an above-average muscle signal is received. This avoids loosening the grip unintentionally, for example when brushing your teeth or using cutlery. Your orthopaedics specialist will be happy to provide you with further information.